At Orchid Lingerie, we understand the benefits of a good fitting bra. We’re pleased to see that women are becoming more informed about the benefits of a well fitted bra and know only too well the difference it can make both in terms of breast health and comfort. Sadly though, the message is taking longer to get through about the benefits of having a good fitting sports bra. It is perhaps even more important that the correct bra is worn for any sporting activities and for obvious reasons! 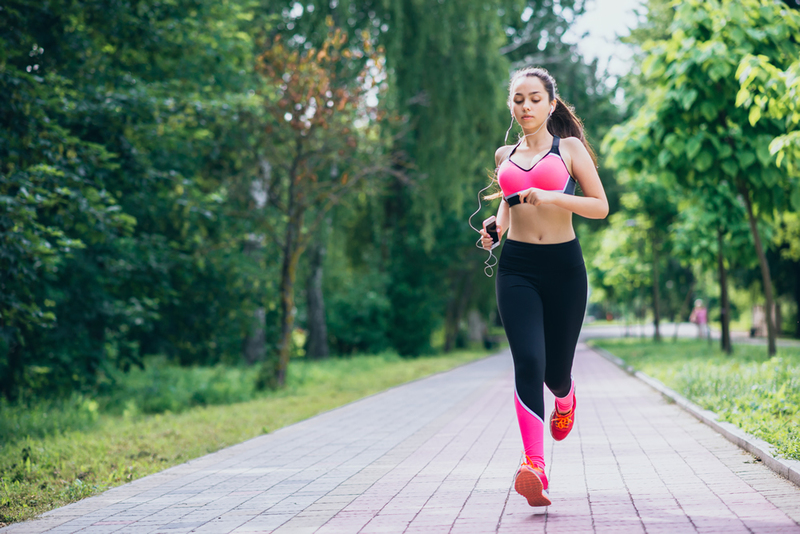 Physical activity is going to make your breast move and this continuous and repetitive movement will result in soreness and over time sagging. Yet stats show that around 70% of women do not wear one. And of the 30% that do wear a sports bra it is estimated that 80% of these are either the wrong size or the bra needs to be replaced as it will have lost its elasticity. A well-fitted sports bra is designed to reduce the movement caused by exercise. Because your breasts have no muscle, they have no inbuilt ability to resist external movement. The little support they have is supplied by fibrous strands called Coopers ligaments. These ligaments will stretch over time… but they only stretch one way! Once they have elongated, there is no going back… literally. It’s important to note that breasts of all sizes are susceptible to damage to these ligaments. Not only is excess movement going to damage these, but also the breast tissue itself. Clearly then, ensuring the right sports bra is worn is an absolute must! There are several factors that need to be taken into account when choosing a sports bra. As a very general guide, the sports bra should feel a bit tighter than a regular bra. The band shouldn’t move when you raise your arms above your head and the cups should have no gaps or wrinkles. Clearly it’s even more important that there is no rubbing or chaffing. If it feels uncomfortable when you try it on, just imagine how it might feel after you’ve run 10km. At Orchid Lingerie we are able to offer expert fitting advice and ensure you get the perfect sports bra for you. We don’t mark up our prices and fitting is completely free. So, as we slowly head towards Spring and everyone begins to be able to get outside and exercise more, now is the perfect time to get the right Sports Bra for you. And remember… you’re not being extravagant, or ‘treating’ yourself. A Sports Bra is a necessity, not a luxury. There is no point in exercising to stay healthy but in the process damaging your breasts with potential long-term consequences. For more information or to book a free, no obligation fitting click here. And to find out more about our range of Active wear and sports bras click here.